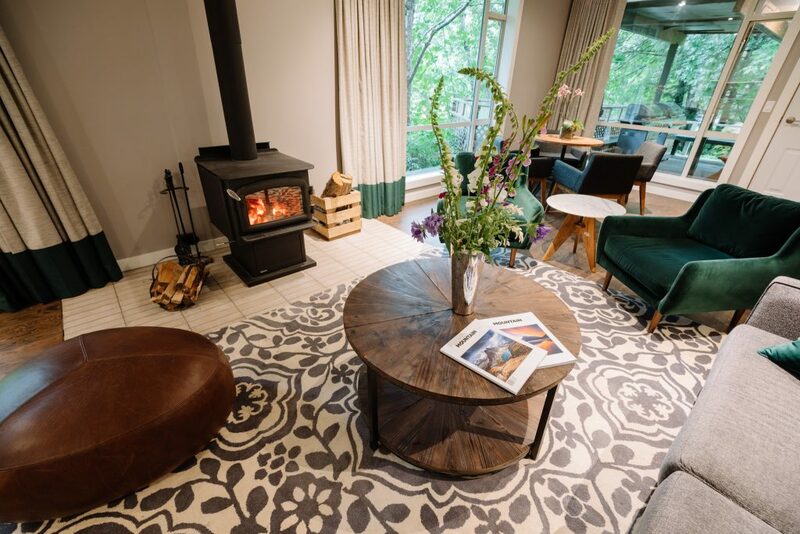 Sunwolf is a year-round resort located between Whistler and Vancouver, ideal for corporate retreats, weddings, quiet getaways, family gatherings or fishing trips. 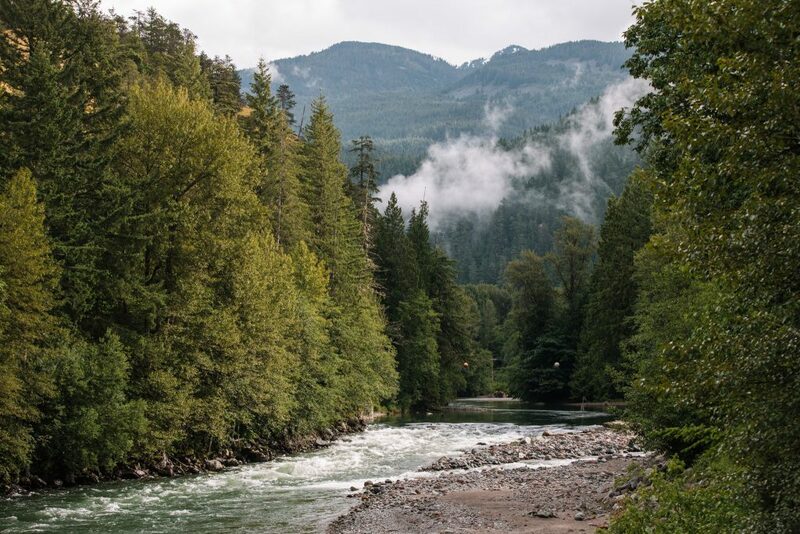 The forested 5.5-acre property at the confluence of the Cheakamus and Cheekye Rivers is a beautiful space to help you step away from everyday distractions and step into the natural beauty of Squamish. It’s the perfect way to disconnect from the daily hustle without saying goodbye to modern conveniences. 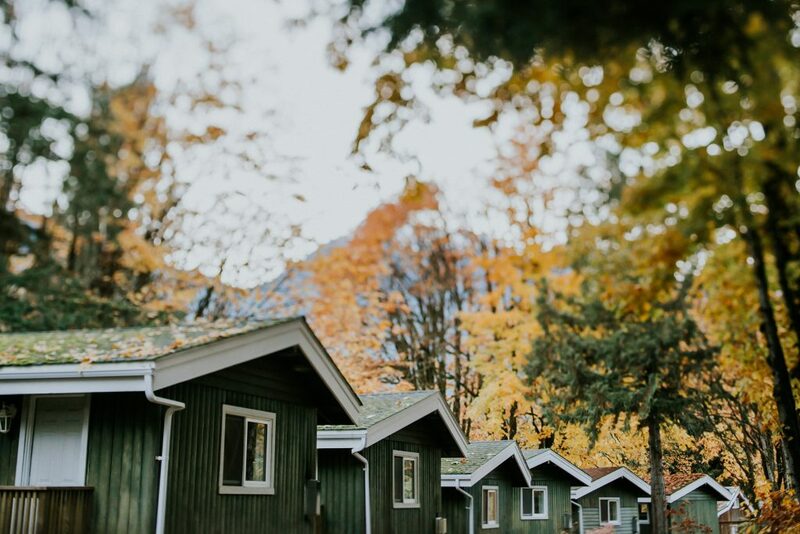 The lodge has a fully equipped conference room with a wood-burning stove, polished hardwood floors, and a breathtaking view of the snow-capped peaks of the Tantalus Range. It’s ideal for a leadership retreat, planning session or workshop. 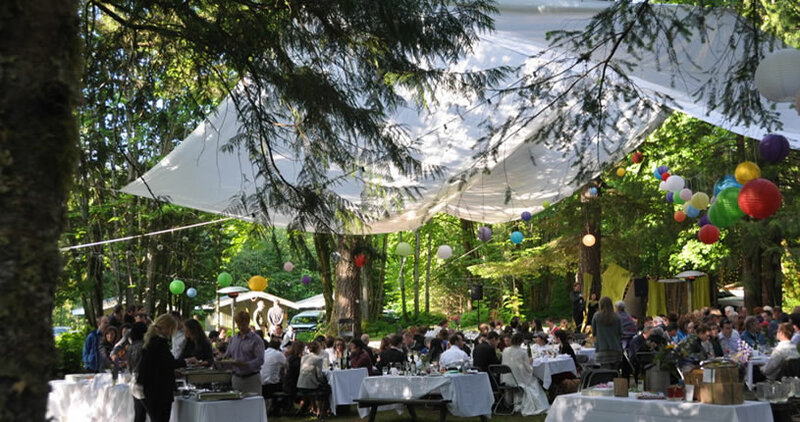 A unique and wonderful outdoor wedding venue, Sunwolf provides a beautiful canvas for your special day. 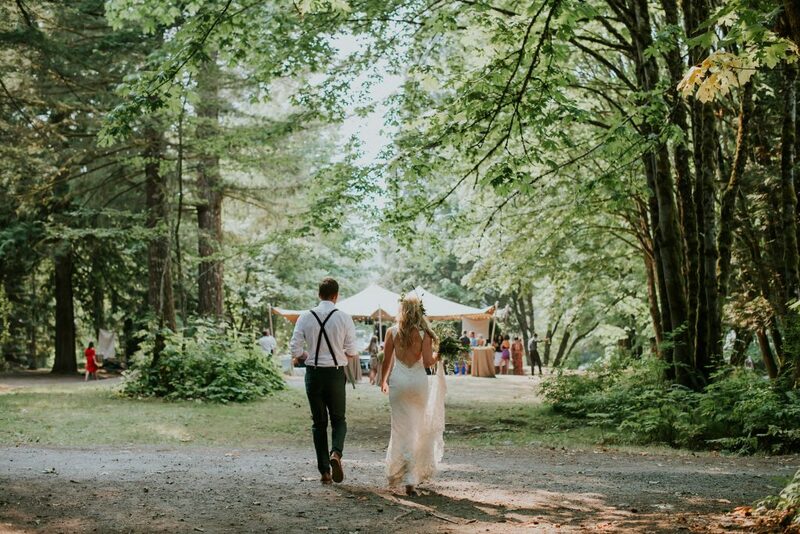 Get married on a lush green lawn with tall Douglas fir and cedar trees presiding, dance under the stars, and have a campfire while you listen to the river rushing to end the night. Forget the stress out of feeding your guests with Fergie’s Catering, offering full and delicious on-site catering that’s tailored to your event. Serving a taste of British Columbia’s finest wild, fresh and local ingredients, the menus feature multiple courses that highlight the Squamish region. The award-winning Fergie’s Café located on the property will be reopening in Spring 2019. Sunwolf Riverside Resort, is committed to sustainability across all operations and understands the importance of balancing client needs with the social and environmental impacts of operations. 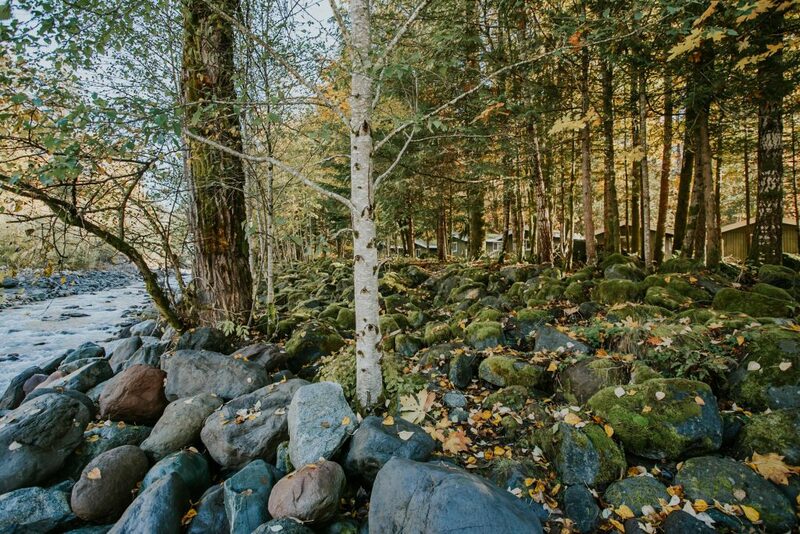 As a Gold Award recipient from Green Tourism Canada, Sunwolf Riverside Resort is continually working to implement best practice strategies to lessen their impact on the environment. They are working hard to maintain this award and hope you will support us in our efforts by minimizing your event’s impact on the environment. Whether you’re taking a break, planning strategies, treating yourself or celebrating, you’ll find what you’re looking for at Sunwolf.